Q: Do I need to treat my pedestrian Gate? A: Although the gates are pressure treated we would recommend regular treatment to extend the life of the gate. Gates must be dry prior to treatment and make sure that treatment manufacturers instructions are followed. Q: How should I hang my gate? Q: What hinges should I use? A: Minimum requirement would be Tee Hinges but we would recommend using cranked pin on plate hinges especially for heavier or taller gates. If any adjustment is likely to be needed (e.g if gate in hung from wooden posts) then we would recommend using a one way adjustable hinge. Q: Can my Pedestrian Gate be made to any size? 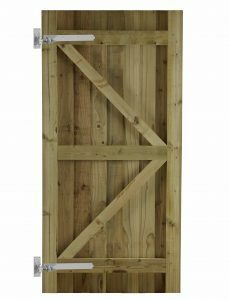 A: All our gates are standard sizes (see gate details for sizes) apart from the Country gate which can be made in widths up to 1.8m. All of the Courtyard gates can be made in Pedestrian gate sizes these are made to measure gates.